Although it was written in the 1930s, The Children's Hour's sad storyline about how gossip and prejudice can ruin lives is surprisingly relevant in the age of social networking and teenage suicides. Setting the scene in a girls' boarding school in New England, the first half is a bit wearing, primarily because two of the central characters are very irritating people. Although Bryony Hannah plays Mary, an anarchic and selfish schoolgirl, with vigour, her acting can get repetitive and she doesn't yet have the charisma or the voice to dominate the stage. One of the school teachers, played by Carol Kane, is also a self-centred and annoying character with few endearing qualities. Moreover, the set, with its endless clapboard panels, is fairly simple and unchanging. Even the move from the school to the house of Mary's doting grandmother doesn't seem to prompt a substantial change of scenery. 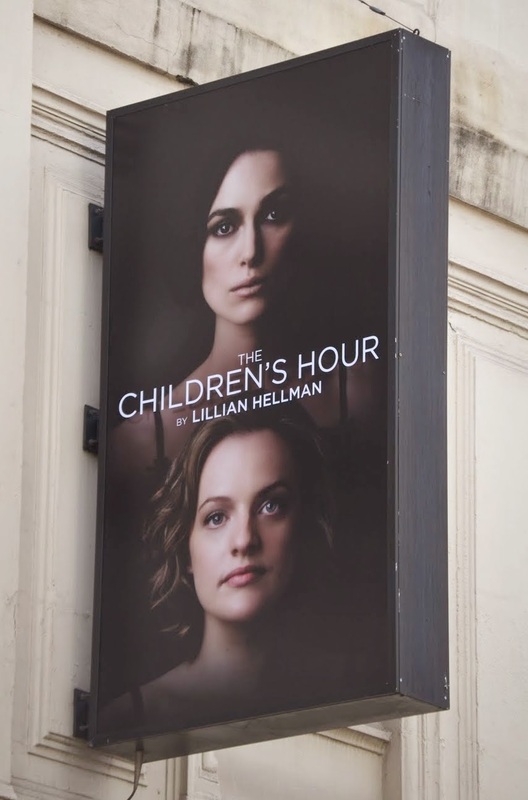 Still, the play comes to life in the second half when Keira Knightley and Elisabeth Moss, playing the wronged co-owners of the school, take centre stage. They both give engaging and emotional performances with Knightley adeptly switching between simmering restraint, passion and outrage, while Moss' performance is full of pathos and bitter humour. But Tobias Menzies plays Dr. Joseph a bit too safe, while Ellen Burstyn's portrayal of Mary's misguided grandmother can seem rather lackluster in comparison with the torrid Knightley and Moss. As a result, the audience may struggle to fathom why the old lady puts such faith in the word of the habitual liar Mary. Carol Kane's character also makes an unwelcome return in the second half. Her whining self-pity is well-acted, but may have you wanting to punch her lights out.